FAU celebrated the official appointment of Professor Dr. Joachim Hornegger as its new President and the retirement of Professor Dr. Karl-Dieter Grüske with a ceremony attended by over 800 guests at the Audimax in Erlangen. In his opening remarks, Joachim Herrmann, Bavarian Minister of the Interior, commended Professor Grüske’s efforts to underpin interdisciplinary collaboration and networking at the university with strategic building measures to encourage high-profile research institutions to locate within close proximity to the university. The Bavarian Minister of the Interior stated that ‘Professor Grüske led FAU to becoming a university with an excellent research profile’. Carolin Kister, speaker of the Students’ Representatives,reflected on positive co-operation with the former President of FAU. ‘Overall, we often shared common goals with Professor Grüske despite minor differences.’ Ms Kister welcomed Professor Hornegger as a team player and summarised important issues which students wish to see on future agendas. Professor Grüske’s humorous and anecdotal address was underpinned with experiences representing some of the most important milestones from his term of office, including targeted strategies, internationalisation, the academic environment, and construction and renovation work. In closing, Professor Grüske handed the chain of office to his successor with the parting words: ‘The presentation of the chain of office to the 154th incumbent symbolises a change of leadership which I feel is a positive step for the university and I undertake this last official act with great pleasure.’ He handed over the podium to his successor with a cheerful parting. Rebecca Kunzelmann (vocals), Ulrich Nehls (piano), Prof Dr. Christoph Safferling (vocals) and FAU Director of Music, Prof. Dr Konrad Klek (piano) provided the musical accompaniment for the ceremony. The light show was designed by Andreas Hauslaib and Matthias Rex produced a film of commemorative speeches from many of Professor Grüske’s contemporaries. On 28 November 2014, the University Council accepted the recommendation of the Presidential Appointment Committee and elected Prof. Dr. Joachim Hornegger unanimously as the successor of Prof. Dr. Karl-Dieter Grüske. Professor Hornegger, a 47-year-old computer scientist, will serve a term of office of six years according to the Bavarian Higher Education Act. 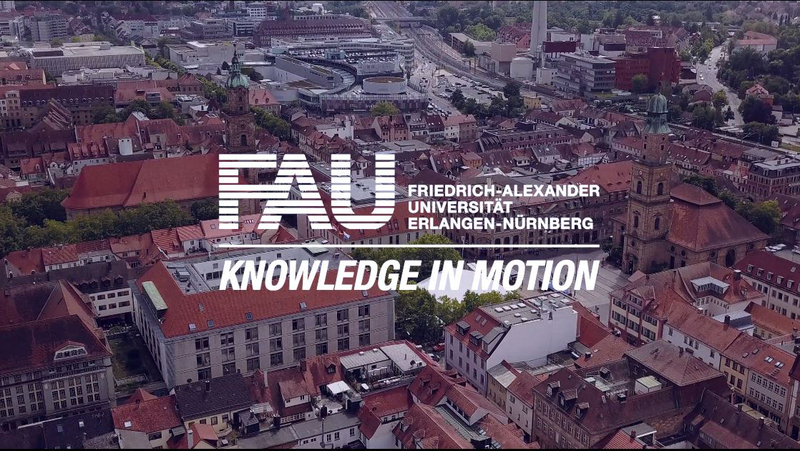 On 1 October 2011, Professor Hornegger was elected as Vice President for Research at FAU. Professor Hornegger has a wealth of experience in the management of academic affairs. In 2003, he was appointed as a professor of computer science at the Faculty of Engineering at FAU and from 2009 until 2011 he was speaker of the Department of Computer Science and Vice-Dean of the Faculty of Engineering.